But when the Galaxy Note7 went up in flames (pun intended) many suspected the lineup will be no more as Samsung tries to distance itself from the failure. Luckily that's not the case though and we will be seeing a Galaxy Note 8 later this year. The news was brought by DJ Koh, Samsung's Mobile chief who said in an interview that the company will keep working on Note-series smartphones. We found through the investigative process that there are lots and lots of loyal Note customers. 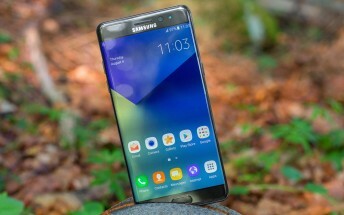 Tim Baxter, president of Samsung US added, that a large base of Galaxy Note 4 and Galaxy Note 5 customers are still loyal and waiting for an upgrade. So the company will proceed to deliver said upgrade. Here's hoping that it's good enough to make up for last year's fiasco.